This error allows the updates to download but they do not install. Despite multiple restarts, the state doesn’t change. The cause could be a troublesome update that has been stuck, malware on the system, disk space issues, or the system being overloaded with tasks. This is the master step for all Windows update related issues. If any previous update launched a fix for any issue, running the troubleshooter would be helpful in identifying and probably fixing it. One of the reasons behind this issue could be virus and malware on the system. Perform a full anti-virus and anti-malware scan on your system to isolate the issue. Freeware is not always free. They might come along with scripts which might hack your system and track data. While scripting the malicious software, the designers are aware that as soon as Microsoft knows of the same, they will push a security update to overcome it. Thus, the cyber criminals script the malicious software in such a manner that it prevents the update. It might miss a general anti-virus scan especially if the anti virus was unable to update itself. 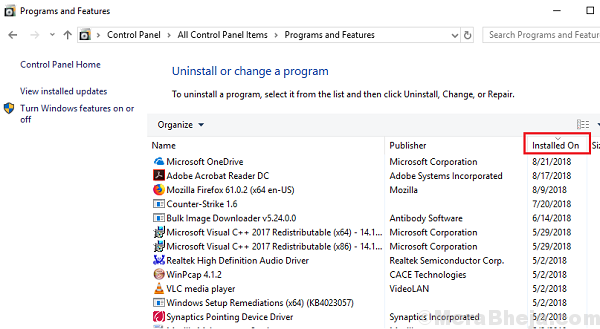 We would have to check the latest installed programs and uninstall them if necessary. 1] Press Win + R to open the Run window. Type the command control panel and press Enter to open the Control Panel window. 2] Go to Programs and features and it will list all of the programs installed on the system. 3] Arrange the programs in order of their date of installation. 4] Check for suspicious programs. Usually they would be freeware which has been installed recently (since you started facing the issue with Windows update). If it is a specific Windows update that is stuck, we could download and install it from Microsoft’s website manually here. Simply download and install the update and restart the system. If the issue was with a specific update and not the service itself, the problem wouldn’t reoccur once that update is installed manually, but if the issue is with the service itself, it would reoccur when you try to install the next update. Since the Windows update got stuck at a certain stage, we could force install it using Powershell. 2] Type the command cmd and press Enter to open a Command Prompt like window. This will force run Windows update. Check if it helps resolve your issue. At times, a few services which are critical for Windows update to work, might not be starting automatically. An easy way to set them in this condition is through Command Prompt. 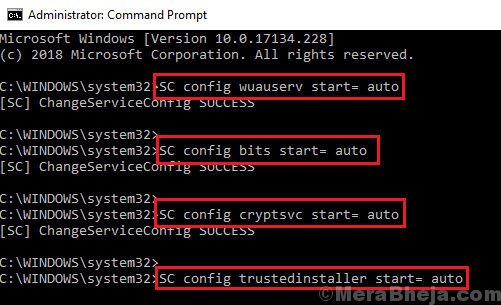 3] Exit Command Prompt and restart the system. 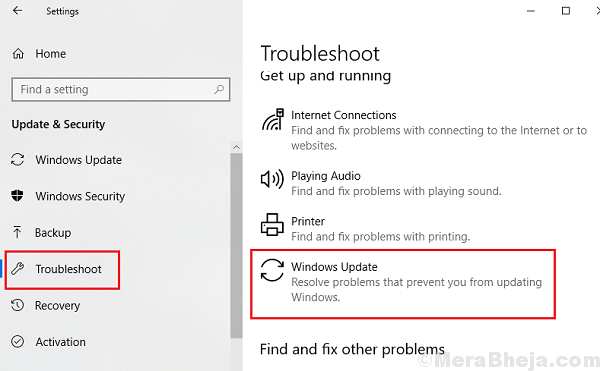 Check if you are able to update Windows now. If everything else fails, you might consider refreshing Windows since the updates are crucial.